If You See Cracks In Your Watermelon, Throw It Away! Here's Why! About 20 farmers around Danyang city in Jiangsu province were affected, losing up to 115 acres of watermelons. What is Forchlorfenuron? Wang Liangju, a professor with the College of Horticulture at Nanjing Agricultural University who was in Danyang when the problems began to occur, believes the chemical is safe when used properly. He told The Associated Press that the drug had been used too late in the season when heavy rain activity raised the risk of the fruit exploding. He also believes the variety of melon played a role. “If it had been used on very young fruit, it wouldn’t be a problem,” Wang said. 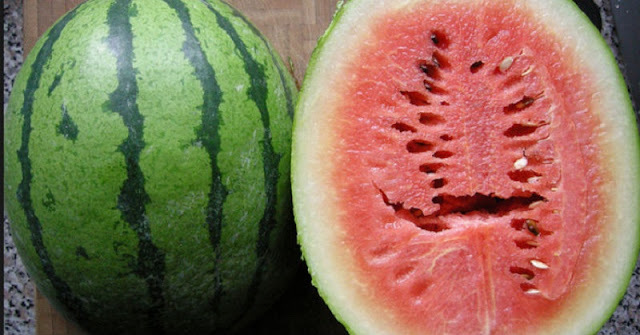 He added, “Another reason [for the problem] is that the melon they were planting is a thin-rind variety and these kind are actually nicknamed the ‘exploding melon’ because they tend to split,” he said. Chinese regulations don’t forbid the use of the drug, and it’s allowed in the United States on kiwi fruit and grapes, but it’s been reported that many farmers in China are abusing both legal and illegal chemicals, with many farms misusing pesticides and fertilizers. According to the Environmental Working Group, nearly two-thirds of the 3,015 produce samples tested by the U.S. Department of Agriculture in 2013 contained pesticide residues, with a total of 165 different pesticides on thousands of fruit and vegetable samples. Watermelons that are grown with hormones will display cracks on the inside. This is a sign that the watermelon grew faster than it was supposed to. One telltale sign that a fruit or vegetable wasn’t grown completely naturally is lack of flavor. While growth enhancers such as florchlorfenuron stimulate cell division to make the product grow faster, it also drains it of flavor. Florchlorfenuron isn’t the only growth hormone being used in produce. A hormone known as oxytocin has been known for its use in fruits and vegetables in India. The drug is banned for public sale in India, but it is widely available from fertilizer and pesticide vendors. 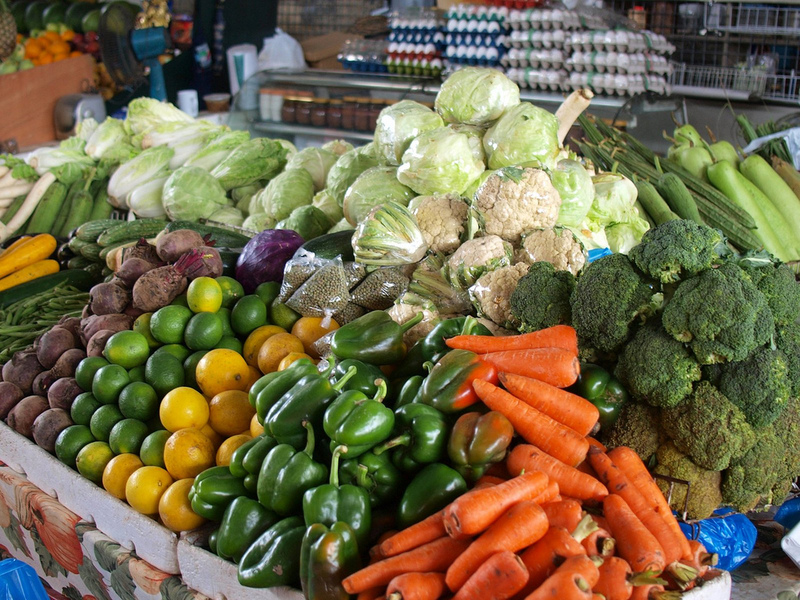 Other growth promoting agents used in produce include ethylene, which may contain traces of arsenic, and calcium carbide, which is believed to cause a whole slew of health problems. To reduce your exposure to pesticides and chemicals, buy organic — especially for the foods that contain the highest levels of pesticides. Whether what you purchase is organic or conventional, you should still take steps to reduce contamination by washing your produce thoroughly and peeling it if needed.